Jim Plunkett was the number 1 overall pick in the 1971 NFL Draft. The New England Patriots are a professional American football team based in the Greater Boston metropolitan area. They are a member of the American Football Conference East Division (AFC East). The team began as the Boston Patriots in the American Football League, which merged with the National Football League in 1970. In 1971, the team relocated to Foxborough, where they became the New England Patriots. Since its establishment in 1960, the franchise has selected 64 players in the first round, five of these being the first overall pick. The NFL Draft, which is officially known as the "Player Selection Meeting", is held each April. The draft is used as the primary means to distribute newly available talent (primarily from college football) equitably amongst the teams. Selections are made in reverse order based on the previous season's record, i.e., the club with the worst record from the previous season selects first. Through 2009, only two exceptions were made to this order: the Super Bowl champion always selects last (32nd), and the Super Bowl loser second to last (31st). Beginning in 2010, teams making the playoffs have been seeded in reverse order depending upon how far they advance. The draft consists of seven rounds. Teams have the option of trading selections for players, cash and/or other selections (including future year selections). Thus, it is not uncommon for a team's actual draft pick to differ from their assigned draft pick, or for a team to have extra or no draft picks in any round due to these trades. The Patriots traded their first-round pick six times (1972, 1974, 2000, 2009, 2013, and 2017). In 2016, their first-round pick was stripped as punishment for the Deflategate incident. 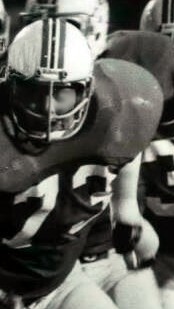 Gerhard Schwedes, a running back from Syracuse, was the first player to be drafted to the Patriots team. He was selected third overall in the 1960 American Football League Draft. 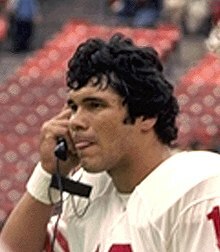 Jim Plunkett, a quarterback from Stanford, was the Patriots' first selection in the 1971 NFL Draft. The Patriots have selected first overall five times, drafting Jack Concannon in 1964, Plunkett in 1971, Kenneth Sims in 1982, Irving Fryar in 1984, and Drew Bledsoe in 1993. The team has selected third overall once and fourth overall three times. Through 2017, two Patriots first-round draft picks have been elected to the Pro Football Hall of Fame: John Hannah and Mike Haynes. Twenty Patriots first-round draft picks have been selected for the Pro Bowl. The team's most recent first-round draft pick was Malcom Brown, a defensive tackle from the University of Texas. John Hannah, drafted in 1973, was elected into the Pro Football Hall of Fame in 1991. Sam Cunningham, who was selected 11th overall in 1974, played for the Patriots for all ten seasons of his career. He made a Pro Bowl appearance in 1978. Drew Bledsoe was the most recent Patriots player to be the #1 overall draft pick when he was selected in 1993. After being drafted in 2005, Logan Mankins went on to be selected as an All-Pro in 2010 and make six Pro Bowl appearances as a Patriot. Dont'a Hightower , who was the 25th pick overall in 2012, was one of the four players who represented the Patriots at the 2017 Pro Bowl. Malcom Brown was selected 32nd overall in the 2015 Draft. He finished his rookie season with 48 tackles and 3.0 sacks. g The Patriots traded their #17 overall pick to the Los Angeles Rams. h Acquired from the Los Angeles Rams. i Acquired from the Chicago Bears. j The Patriots traded their #9 overall pick to the San Francisco 49ers. k Acquired from the San Francisco 49ers. l Acquired from the Houston Oilers. m Acquired from the San Francisco 49ers. n Acquired from the Houston Oilers. o Acquired from the San Francisco 49ers. p Acquired from the Tampa Bay Buccaneers. q Acquired from the San Francisco 49ers. r Acquired from the Seattle Seahawks. s Acquired from the Indianapolis Colts through the Seattle Seahawks. t Acquired from the Minnesota Vikings through the Dallas Cowboys. u Acquired from the New Orleans Saints through the Dallas Cowboys. w Acquired from the New York Jets in compensation for losing restricted free agent Curtis Martin. x Acquired from the Seattle Seahawks. y Acquired from the New York Jets in compensation for losing Bill Parcells. z The Patriots forfeited their #16 overall pick to the Jets in compensation for hiring Bill Belichick. aa Acquired from the Tampa Bay Buccaneers through the Oakland Raiders and Washington Redskins. bb Acquired from the Washington Redskins through the New York Jets and Chicago Bears. cc Acquired from the Baltimore Ravens. dd Acquired from the Seattle Seahawks. ee Acquired from the New Orleans Saints. ff The Patriots traded their #23 overall pick to the Baltimore Ravens. gg Acquired from the Dallas Cowboys. hh The Patriots traded their #29 overall pick to the Minnesota Vikings. ii The Patriots had their 1st round pick stripped as punishment for the Deflategate incident. jj The Patriots traded their #32 overall pick to the New Orleans Saints. "NFL Draft History: Full Draft – by Team". NFL.com. Retrieved August 12, 2017. ^ Branch, John (April 9, 2000). "The 2000 Liars Club/ Draft makes Broncos coach cloak intentions". The Gazette (Colorado Springs). Archived from the original on October 23, 2007. Retrieved April 7, 2009. ^ Duffy, Mike (March 26, 2009). "New Draft Order, More Rule Changes". BaltimoreRavens.com. Archived from the original on March 29, 2009. Retrieved April 7, 2009. ^ Alder, James. "NFL Draft Basics:Determining Order of Selection". About.com. Retrieved May 26, 2008. ^ a b "New England Patriots Draft History". Pro Football Reference. Sports Reference LLC. Retrieved August 6, 2017. ^ a b "Patriots Deflategate Punishment". Sports Illustrated. May 12, 2015. Retrieved August 6, 2017. ^ "Hall of Famers by franchise". Pro Football Hall of Fame. Retrieved August 6, 2017. ^ "Boston/New England All-Pros and Pro Bowlers". Pro Football Reference. Sports Reference LLC. Retrieved August 6, 2017. ^ "Pro Football Draft History 1972". Pro-Football Hall of Fame. Retrieved September 12, 2017. ^ a b "Pro Football Draft History 1973". Pro-Football Hall of Fame. Retrieved September 12, 2017. ^ "Pro Football Draft History 1974". Pro-Football Hall of Fame. Retrieved September 12, 2017. ^ a b "Pro Football Draft History 1976". Pro Football Hall of Fame. Retrieved September 22, 2017. ^ "Pro Football Draft History 1977". Pro Football Hall of Fame. Retrieved September 22, 2017. ^ "Pro Football Draft History 1980". Pro Football Hall of Fame. Retrieved September 22, 2017. ^ "Pro Football Draft History 1981". Pro Football Hall of Fame. Retrieved September 22, 2017. ^ "Pro Football Draft History 1984". Pro Football Hall of Fame. Retrieved September 22, 2017. ^ "Pro Football Draft History 1985". Pro Football Hall of Fame. Retrieved September 22, 2017. ^ a b "Pro Football Draft History 1990". Pro Football Hall of Fame. Retrieved September 22, 2017. ^ a b "Pro Football Draft History 1991". Pro Football Hall of Fame. Retrieved September 22, 2017. ^ "Pro Football Draft History 1992". Pro Football Hall of Fame. Retrieved September 22, 2017. ^ "Pro Football Draft History 1998". Pro Football Hall of Fame. Retrieved September 22, 2017. ^ a b "Pro Football Draft History 1999". Pro Football Hall of Fame. Retrieved September 22, 2017. ^ "Pro Football Draft History 2000". Pro Football Hall of Fame. Retrieved September 22, 2017. ^ "Pro Football Draft History 2002". Pro Football Hall of Fame. Retrieved September 22, 2017. ^ "Pro Football Draft History 2003". Pro Football Hall of Fame. Retrieved September 22, 2017. ^ "Pro Football Draft History 2004". Pro Football Hall of Fame. Retrieved September 22, 2017. ^ "Pro Football Draft History 2007". Pro Football Hall of Fame. Retrieved September 22, 2017. ^ "Pro Football Draft History 2008". Pro Football Hall of Fame. Retrieved September 22, 2017. ^ "Pro Football Draft History 2009". Pro Football Hall of Fame. Retrieved September 22, 2017. ^ "Pro Football Draft History 2010". Pro Football Hall of Fame. Retrieved September 22, 2017. ^ "Pro Football Draft History 2013". Pro Football Hall of Fame. Retrieved September 22, 2017. ^ "Pro Football Draft History 2017". Pro Football Hall of Fame. Retrieved September 22, 2017.